Fancy 22 Kt Gold Jumki style Long Earrings. 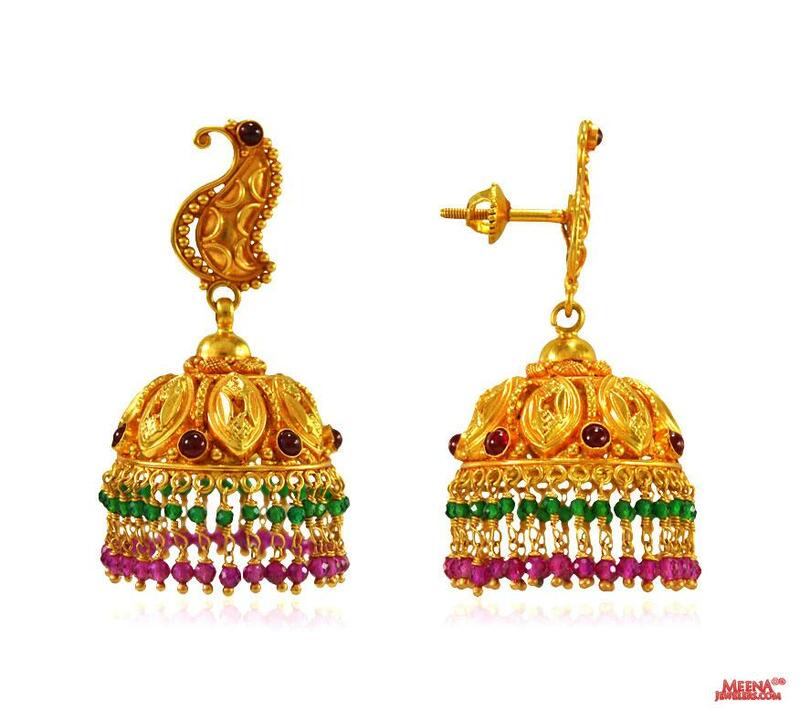 Earrings are designed in temple jewelry style with hanging jhumkhi at the bottom with rubies and emerald attached to it. 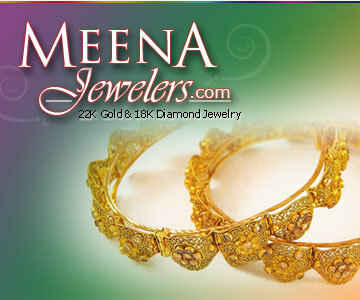 Length: 50.00 mm long and 23.20 mm wide.